Welcome to the latest issue of the PAIge! Welcome to the latest issue of the PAIge Newsletter. In this issue we are calling for nominations for the John Laing Awards for Professional Development. Nominations close in August with recognition events to be held across the country during October - November. 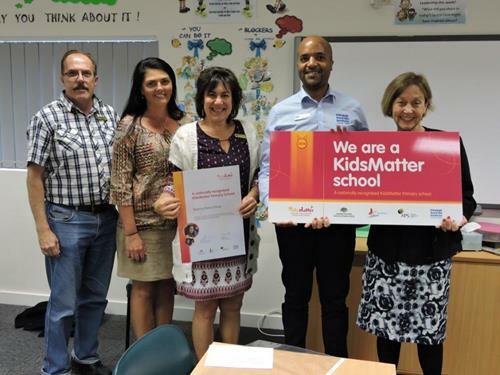 We also recognised Elanora State School for implementing the KidsMatter Primary framework in their school. 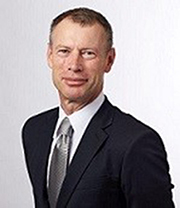 Our interview with Paul Clegg, Sunshine Coast Grammar School Head of Primary provides a valuable insight into the challenging world of principal leadership. I hope you enjoy reading this issue of the PAIge. Nominations close at the end of August. Read more. We are pleased to announce that the national KidsMatter Primary and MindMatters health and wellbeing frameworks are being implemented by more and more schools across Australia. As the key service delivery provider of these frameworks, PAI is helping to support the mental health and wellbeing of children in thousands of schools across the country. So far we have engaged over 3,050 schools in the KidsMatter Primary network and recruited over 1,380 schools with secondary enrolments to implement MindMatters. PAI has had a history of outstanding success in engaging schools and we are extremely pleased by these numbers, as the results have been achieved efficiently thanks to our dedicated staff and the commitment of the school principals involved. PAI looks forward to the future of the ongoing commitment to the KidsMatter Primary and MindMatters frameworks, confident that our experience and expertise of engaging and supporting schools across Australia will enable us to deliver outcomes for them and their students. For Elanora State Primary School, promoting the mental health and wellbeing of the whole-school community is as important as improving the academic learning of its students. The school has fully embedded KidsMatter Primary in its strategic direction and was given recognition for its achievements in improving the social and emotional wellbeing in its whole-school community. 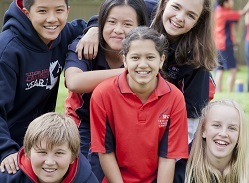 PAI has supported Elanora State School to implement the framework since 2012. Read the school story. Photo shows (L-R) Harry Radloff, Chair of the school’s Chaplaincy Committee; Student Wellbeing teachers Karen Burdett and Karen Greenwood; PAI Project Officer Tom Ogwang; and Principal Tricia Neate. PAI interviewed Paul Clegg, Sunshine Coast Grammar School Head of Primary. The article first appeared in the Education Review, June 2016. 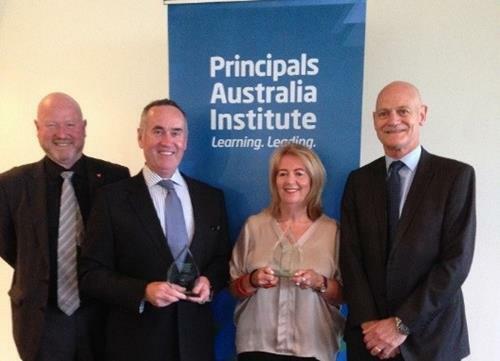 Paul Clegg is a recipient of the 2015 PAI John Laing Awards for Professional Development. He acknowledges the role of mentoring in the context of school leadership. It has been an important aspect of his involvement in the profession. Read the latest Principal profile. PAI is an endorsing supporter for the Creative Innovation Conference. The theme of the conference is “The Exponential Shift. Making transformation happen”. The conference will be held in Melbourne on 7 – 9 November at the Sofitel Melbourne on Collins. For more information, read here or email kidsmatter@pai.edu.au. More professional learning events are scheduled across the country. Visit the KidsMatter Primary calendar to join an event near you. PAI delivers MindMatters professional learning events and supports participating schools to implement the framework. Join a support forum in your state/territory and learn how your school can advance its implementation of MindMatters. Check the scheduled events across Australia to register. "Value us. Value our education. Value our future."